The Playlist is reporting that David Fincher will take the the director's chair for Sony's English-language adaptation of 'The Girl with the Dragon Tattoo'. 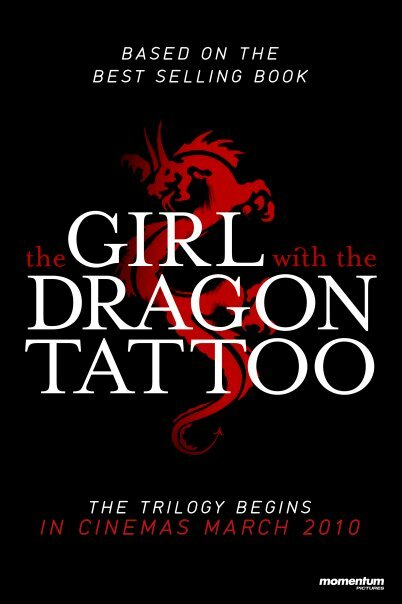 Based on the bestselling novel 'Girl with the Dragon Tattoo' by the late Swedish author and journalist Stieg Larsson, the first in his 'Millennium Trilogy'. It tells the tale of Mikael Blomkvist, a middle-aged investigative journalist who writes for the magazine Millennium, loses a libel case against corrupt Swedish industrialist Hans-Erik Wennerström and is sentenced to three months in prison. Before beginning his sentence, Blomkvist is hired by Henrik Vanger, the aged former CEO of a group of companies owned by a wealthy dynasty. Vanger wants him to solve the disappearance, forty years ago, of Vanger's great-niece when she was sixteen. Vanger is convinced that the girl was killed by someone in his family. Blomkvist is ultimately helped in his quest by Lisbeth Salander, a young punk who has been victimized or misunderstood by those in authority throughout her whole life, but who is also a brilliant computer hacker. The unlikely couple become a classic detective pair. Steve Zaillian (American Gangster, Schindler's List) adapted the script. Scott Rudin is producing and the film is expected to start in September or October.